Just think of all the productive days and money lost when you smoked! 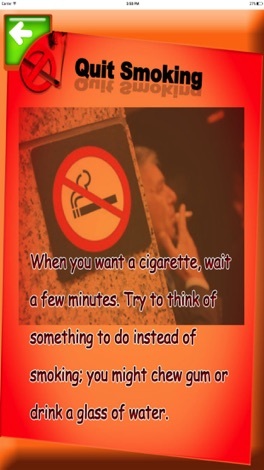 It is time to stop thinking that smoking does not have serious harmful effects on your body and your pocket! 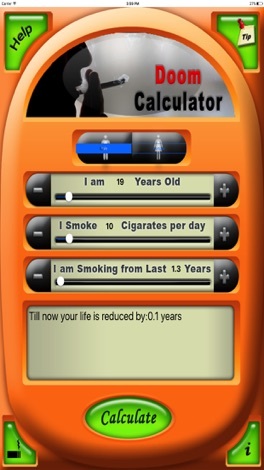 CIGARETTE SMOKING CALCULATOR is a powerful and useful calculator that predicts the loss in one's lifespan due to smoking. 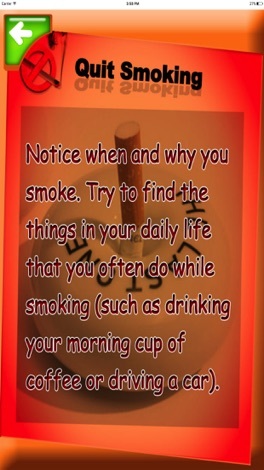 If you have quit smoking, or planning to quit soon then this tool will not only help you to keep track of how many years of your life has been cut due to smoking but it will also help you to track how much money your invested savings could be earning and how much time you are adding to your life by choosing to be a non-smoker instead of a smoker. Find out what smoking has cost you over the years and what will be saved if you quit today. When you add up expenses of all the cigarettes you have smoked, think of the money you could have saved or spent on something that you’ve always wanted. 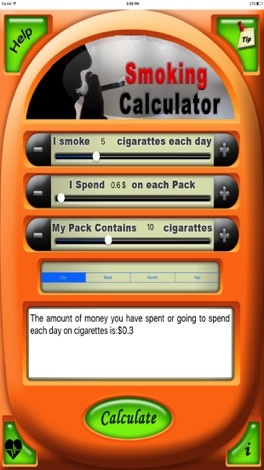 The Smoking Calculator prediction is only an approximate assessment of smoking risks to health. This app is just for reference only.